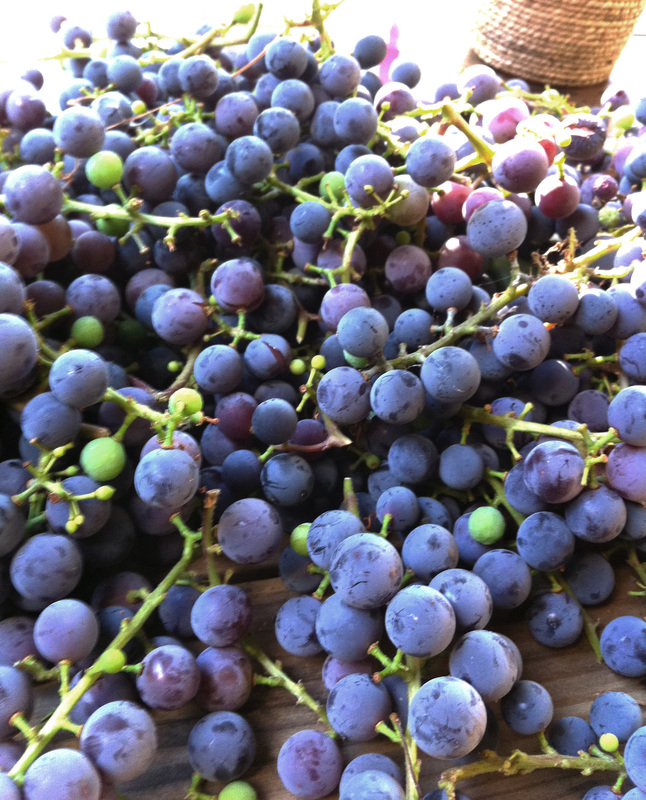 I’m still trying to blog about San Francisco from three months ago, but I’m letting that go for a minute to talk about grapes. I remember when we were little my brother once put all the Concord grape fleshies in a pile so he could eat them all at once without being bothered to spit the skin and seeds out every time. I still thought this was a good idea last week, so Charlotte and I tried to separate the thousands of grapes that are growing in our backyard with our bare hands and after awhile it just made our skin really itchy and we wanted to cut them off but mostly just stop touching those grapes. 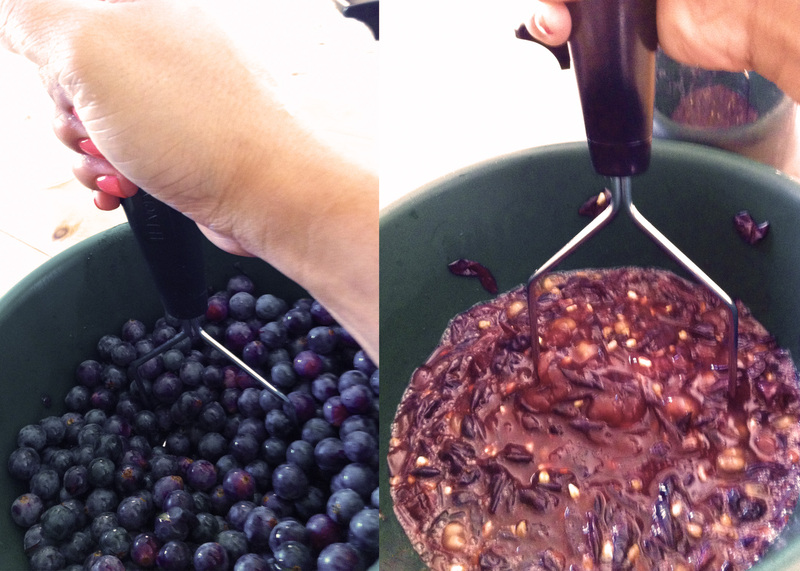 So the next day I found out making grape juice actually requires tools. Nothing that unheard of, just a potato masher. I smashed and mashed for hours and then boiled and simmered. Then I used cheesecloth to strain it all yet I felt so cheated by the whole thing because you would think with cheesecloth and all its holes it wouldn’t take HOURS but it took HOURS. So when I tried to hurry up the process I got excited and my cheesecloth COLLAPSED into the very liquid I had just spent hours straining. It’s ok, all I had to do was do the whole thing over again and get out all the stains from dark purple grape juice. NBD. But all day of smashing turned into FOUR CUPS OF GRAPE JUICE! Ummm seriously? So in order to feel better about the unrewarding result, I doubled the volume with sugar, added some pectin, and made grape jelly. Let me just say – I LOVE cooking. I think it’s fun and even relaxing and I love eating what I cook and I don’t even mind the clean up afterward. MAKING JELLY IS NOT COOKING. I was sweating throughout the whole process and you have to time everything and I didn’t know what a “hard boil” was and the pot I used was too small so I had half an inch of grape jelly goop underneath my stove because apparently a “hard boil” means boiling two feet above normal boiling and I was on the phone with so many moms and the jars wouldn’t seal and then I found out you’re not supposed to touch the lids and EVERYTHING WAS HAPPENING ALL AT ONCE. I wanted to die. And I thought it was all over, but I was tormented for the next 24 hours wondering whether or not that liquid would set. At least with cooking you can taste it along the way, and you add a little salt and everything is better. I couldn’t even carry on conversations because I would just bring everything back to my jelly. 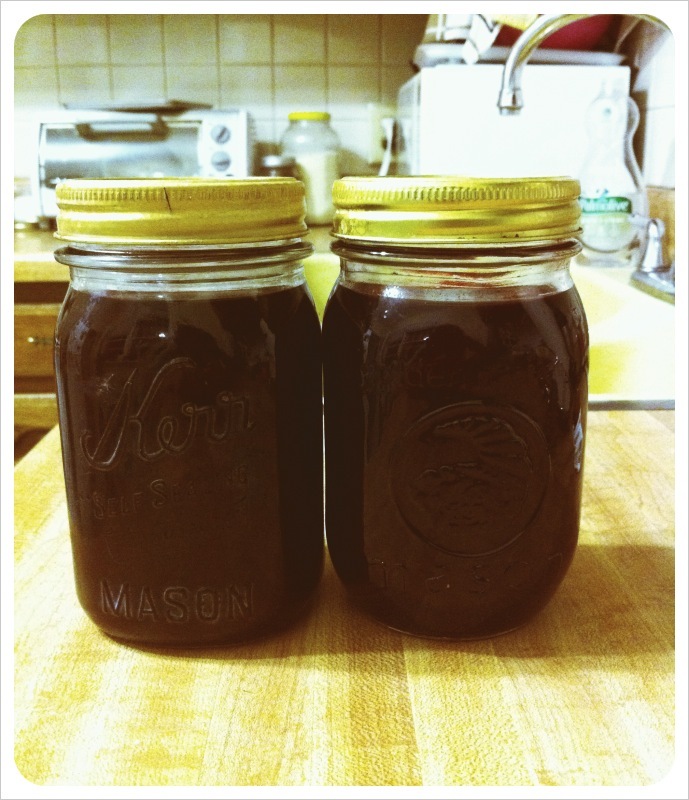 So after I cut myself off from social interactions and watched my jars all night, the next day I was finally able to bask in the glory of homemade grape jelly. Sorry there are so many words here. It’s been awhile since I made anyone read. For the grape juice I used these instructions. For the jelly I just used step 2 of this, and cut the sugar by about one-third.